Nichola Hunter, the co-Head of ICAP’s landmark Forex trading platform EBS Market, has reportedly left the firm amid a management reshuffle, having parted ways after a decade of service. EBS Market is a paramount Forex trading platform, encompassing a large slice of the market along with Thomson Reuters’ platform as well. EBS was recently in the news for reporting substantially weaker June Forex volumes YoY (-40.0%), which is emblematic of a larger trend in the market this year. Mrs. Hunter has been with EBS since 2003, starting with her role as Head Of Customer Service. Over the years she ascended into such roles as Global Head of Client Services, Head of EBS Product Management, and finally Co-Head of EBS Market, all with ICAP. 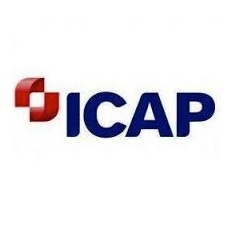 It is unknown whether this is an isolated move or part of a greater string of changes, though ICAP is rumored to be giving more details in the upcoming weeks.